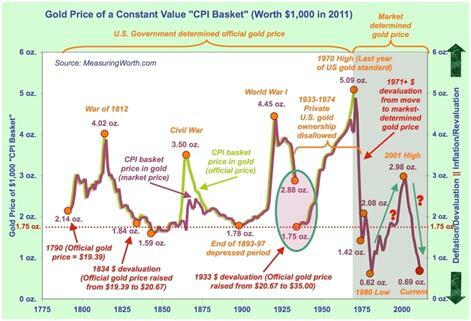 History of gold prices in recent decades have demonstrated price fluctuations, which looks like a roller coaster. This situation become a concern for the investors that use the intrinsic value of gold to protect them from inflation. to see if the gold price are classified as out of control or not, we need to analyze gold price data for a certain time period. Two sets of data are used for alternatives in determining situation whether out of control or not out of control. Month By Month Averages For The Price of In 2011. Using reference Memory Jogger 2, page 62, to determining if the process is out of control. 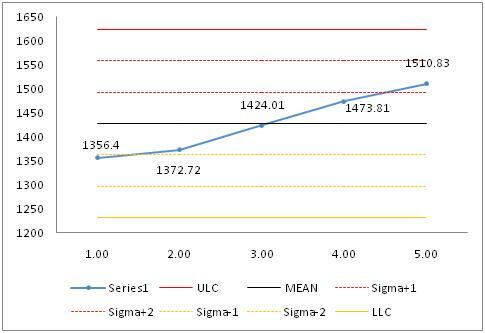 Set of data#1 can be determined as not out of control since all data is not fall outside of control limit and not violating the test for control on Memory Jogger 2 page 62, while Set of data#2 eventhough all data is not fall outside of control,but all of five consecutive points are increasing. Its violating test for control no 2.d. Hence Set of data#2 can be classified as Out of Control. 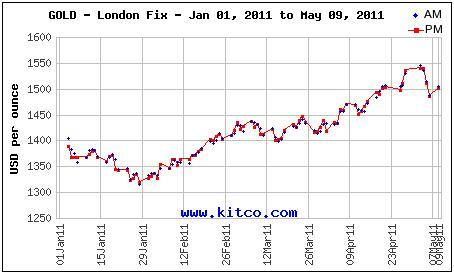 We can see that the Gold price in 2011 can be considered as Out of control, and is still increasing. 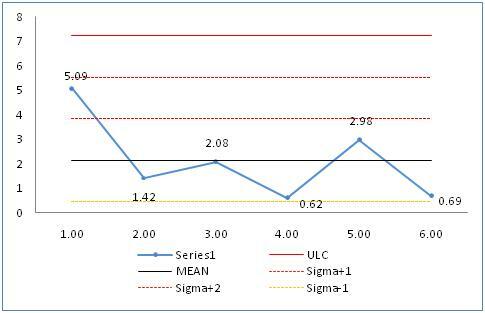 Monitor the data sequence and pay attention to the control limit and behaviour of point of data fall. If data is suspected to be outside of control limit, perform the root cause analysis to figure out what is happening and solve it. 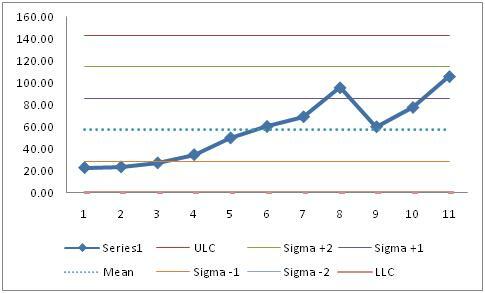 Sigma-2 and LLC are considered zero. From the above control chart, we can conclude that the oil price in the last 11 years is Out of control since there are 8 consecutive point data increasing. There are several causes that affect to uncontrollable World oil price; 1. Instability of regional politics, 2. Increasing demand of fossil energy, 3. Interruption on daily oil production/operation. This entry was posted in Adi Nugroho, Week #8. Bookmark the permalink. The only thing you didn’t include which would have been nice to see is WHY you think the price of oil is out of control? (Or gold or any other commodity?) Do you think is because of SUPPLY and DEMAND? Or is it because of SPECULATION? Or is it because of fears of INFLATION? Of perhaps a combination of all three are causing market distortions? It would be interesting (as well as valuable in your work) if you were to compare a longer time frame to see if over the past 30 years, the price of oil indicates a process that is or is not in control….?? And for next week, I will be looking to see you actually using this data to project into the FUTURE…….. And an interesting experiment would be for you to project the price of OIL forward until 2020 and compare it against the forward projection of the price of gold until 2020? I wonder if the curves are parallel or not……. What do you THINK they might look like? Keep up the good work and PLEASE- Bu Lilly and David appear to be struggling with this so your help and mentoring would be greatly appreciated- not only by them but by me as well…..
Again, great job and really looking forward to what you will do with next week’s assignement. This will make next week’s assignment much easier to do, with the narrower upper and lower control limits….. (The higher you set the ounces of gold = $1.000 in 2011 USD, the LESS risky, while the lower number of ounces of gold needed to purchase $1,000 worth of goods/services, the MORE risk you have of being on the low side.